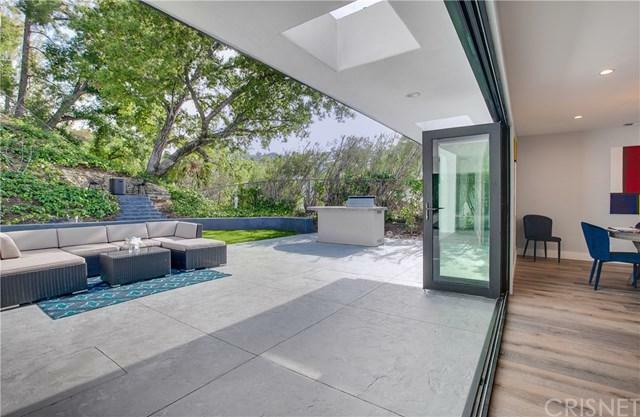 Welcome to the prime South of Ventura Encino single story home in the award winning Lanai Elementary school district! 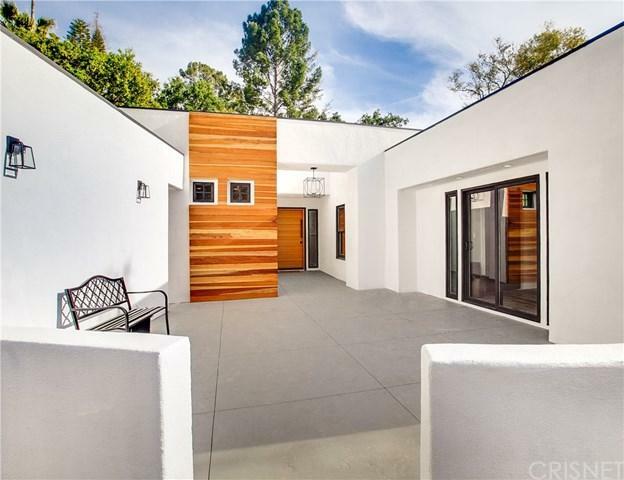 Nearly 3000 SF 5 bed/4 bath renovated & re-imagined sleek modern style but yet warm home gracefully set away from the street offers a Sierra Madre Open Floor Plan flair concept with the indoor/outdoor flow to the entertainer yard. Designer Chef+GGs kitchen is outfitted with the Calcutta River Quartz counter tops, Waterfall Island, seamless back splash, custom cabinetry, and top of the line Thermador Appliances. 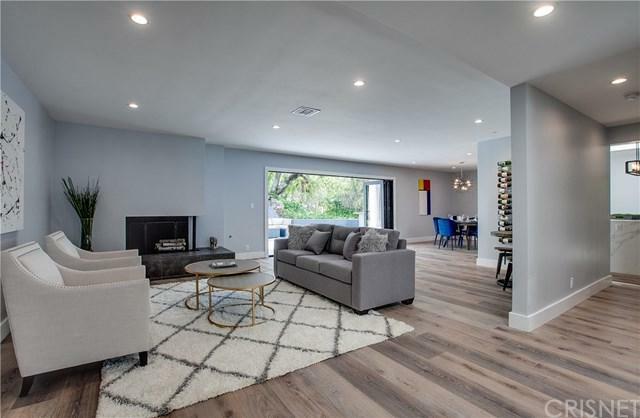 This home features wide plank contemporary flooring throughout, recessed LED lighting, corner fireplace, six custom skylights that offer natural lighting, wine rack, and carefully thought out designer touches. Master bathroom consists of a dual walk-in shower & tub, custom vanity, a walk-in closet, and abundance of natural light. Additional en-suite and a separated wing ideal for a yoga studio that offers complete privacy. 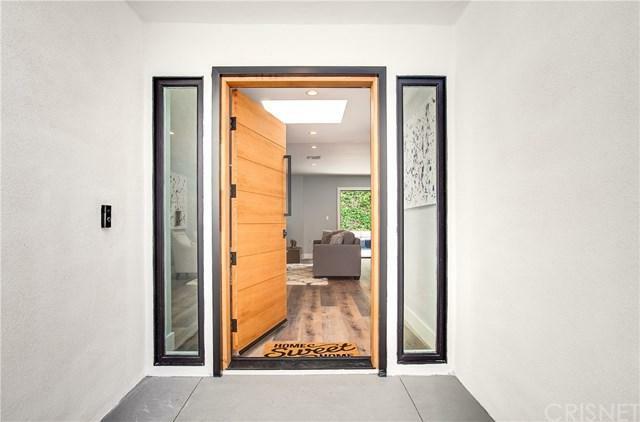 Additional features include a separate laundry room, custom exterior, lush landscape, Dual Nest thermostats, new and newer windows. The spacious yard offers an outside BBQ & Fridge along with a covered patio ideal for al-fresco dining. Easy Westside access!